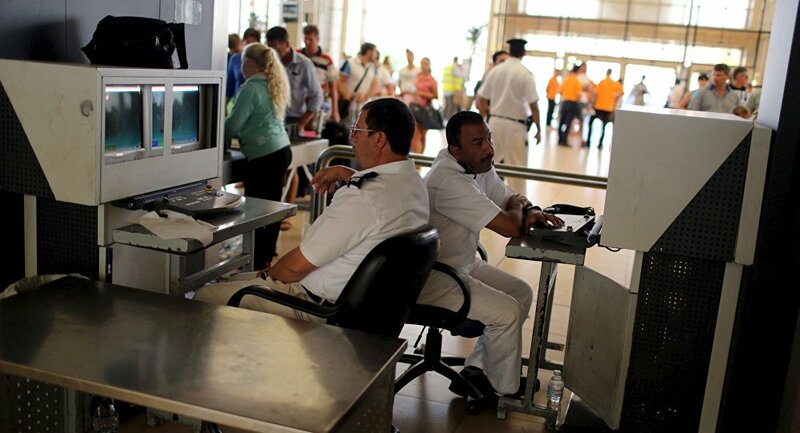 Russia’s Minister of Transportation Maksim Sokolov announced on Monday his country’s request to Egypt that Russian security experts should be permanently stationed at Egyptian airports in order to monitor security procedures for flights between the two countries. The minister made the announcement in an interview with the television channel Russia-24, explaining that the request was made to follow up on security demands Russia had previously made in order for flights to be resumed between the two countries. Russia decided to suspend commercial air traffic to Egypt following the downing of a Russian passenger plane over the Sinai Peninsula in October last year. “Russian experts will not only be stationed to follow up on the application of security measures; they will also be stationed in airports permanently even after flights are resumed between Egypt and Russia,” Sokoliv said in the interview. He added that the Egyptian government has yet to respond to Russia’s request but that bilateral negotiations being prepared with the Egyptian Civil Aviation Authority will address the circumstances under which the Russian security personnel will work. “Only the Egyptian Ministry of Civil Aviation has the authority to announce such measures. We cannot provide an official comment on these statements as of yet; we cannot rely on statements circulated solely by the media,” a spokesperson for the Ministry of Civil Aviation, Ehab Raslan, told Daily News Egypt on Wednesday. Raslan added that the ministry has not received any official request from Russia regarding the deployment of security experts at Egyptian airports. Russia halted flights to Egypt after militants affiliated with the self-proclaimed Islamic State group downed a Metrojet airliner returning to Russia from popular holiday resort Sharm El Sheikh on 31 October last year, killing all 224 passengers aboard.